Burlington Day Care and Preschool is dedicated to inspiring a life-long love of learning through the power of play. Play fosters total development and should be integrated into everything children do. Children learn though active involvement with concrete objects. As natural learners, children are curious, interested, and enthusiastic about learning new things. 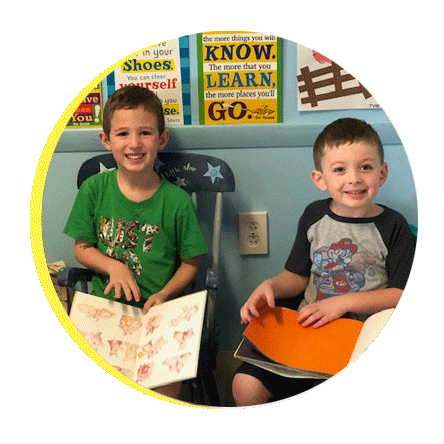 At Burlington Day Care and Preschool, children will receive firsthand experiences in areas such as science, math, art, and literacy. Burlington Day Care and Preschool is a center that is dedicated to inspiring lifelong love and learning through the power of play. Play fosters total development and should be integrated into everything a child does. Children learn through active involvement with concrete objectives. They need first hand experiences such as: science and math experiments, art projects, dramatic play experiences and field trip experiences. Children are natural learners; they are curious, interested and enthusiastic about learning new things. The best way to teach children is to build and play on their natural learning styles. We offer a full-day program with drop off after 6:45 AM and pick up by 6:00 PM. We also offer a half-day program in Cruiser through Pre-K with drop off after 6:45 AM and pick up by 12:30 PM.